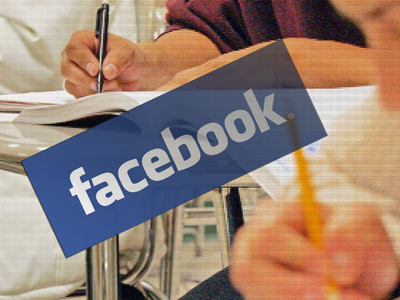 Missouri’s new "Facebook Law" – protecting kids by policing teachers? | Jacqueline Ryan Vickery, Ph.D.
“every school district must develop a written policy concerning teacher-student communication and employee-student communications. Each policy must include appropriate oral and nonverbal personal communication, which may be combined with sexual harassment policies, and appropriate use of electronic media as described in the act, including social networking sites. Teachers cannot establish, maintain, or use a work-related website unless it is available to school administrators and parents, or have a nonwork-related website that allows exclusive access with a current or former student” (emphasis added). While the law is intended to protect students, many argue it goes too far in policing teachers. There is still a lot of confusion about the interpretation of the law: rather than abiding by the restrictions, many districts and teachers are likely to practice self-censorship and forgo participation on social networking sites all together. But isn’t the point of the law to protect children? We know young people are increasingly active on social networking sites so shouldn’t we want teachers to be able to engage and communicate with students via avenues students are most likely to use? Not surprisingly, the law has generated backlash from teachers, parents, and the ACLU. I struggle with this law because it supposes all teachers are potential predators – this is not a message we should be sending our kids, parents, or teachers. Statistically we know children are significantly more likely to be preyed upon by a family member or family friend than a teacher. And while we should protect children from predators, the problem is the criminal behavior, not the technology itself. 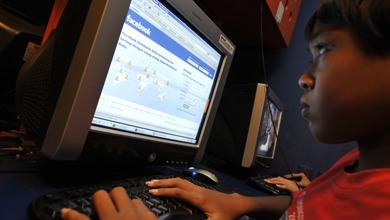 The law blames social networking sites rather than the age-old problem of criminal behavior. While we should hold teachers accountable to appropriate codes of conduct, we should also give teachers and school districts more credit in knowing how to appropriately engage with students (rather than insinuating they are all potential predators!). Sadly, if a teacher has ill-intentions, no law is going to prevent them from inappropriately communicating with students. Teachers can just as easily communicate inappropriately with students in a hand-written note, but no one is suggesting we ban pens and paper. Of course not, because it wouldn’t solve the problem and the benefits of hand-written communication far outweigh the potential risks. Similarly, the benefits of student-teacher private communication via social networking sites should also outweigh the potential risks. The law completely ignores the positive aspects of social networking sites for educational purposes and mentor relationships. Kids are learning, engaging, and participating in social media every day. Rather than restrict access we ought to be focusing more attention on how to appropriate social media into the classroom to facilitate collaborative learning. Additionally, supporters of the law argue students and teachers should never communicate privately. Senator Cunningham says the law does not ban student-teacher communication but only requires that it be publicly accessible to parents and school districts. However, there are times it would be unethical for student-teacher communication to be made public. Teachers have traditionally played the role of mentor for many students, and there are certainly topics which students cannot discuss with a parent or peer (e.g. parental abuse). Likewise, students may want to confide in a teacher regarding peer bullying or struggles with work, school, relationships, suicidal thoughts, etc. Like adults, young people are not always comfortable having these conversations face-to-face, and we should not prohibit student-teacher communication which is beneficial to the student. There are of course gray areas as well. Teachers are often friends of the family, parents of students’ friends, attend the same church, etc. These relationships exist prior to and outside of the student-teacher relationship and yet they are also being policed and regulated. In the an interview with St Louis Today, high school English teacher Lucinda Lawson vocalizes her concerns with the law and recounts specific instances in which social media has been beneficial. “It is ironic that nearly all students participate in [digital media] outside of school – talking on cellphones, playing videogames, or socializing via Facebook – but many are disconnected from the educational benefits of telecommunications during the school day. Students tell us that technology provides the kind of choice and engagement that would keep them in school and motivate them to go on to higher levels of learning.” (again, thanks to Anne Collier for the quote). Thanks Jacqueline! 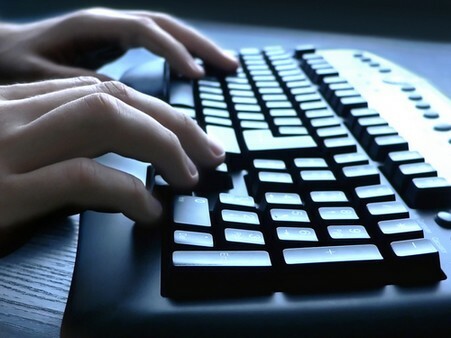 The prevalence of online communication does bring up a lot of issues for teaching, for sure. As someone who used to work in the public school system, the thought of having FB chats / private message sessions with any of my current students petrifies me! It would take a really special teacher with *excellent* judgment to be able to navigate the more boundary blurry world of FB with their students… But you're right–why is the instinctive reaction fear? Mine is fear of miscommunication, lawsuit, and liability! Just as I wouldn't meet a current student in a private place away from school, I wouldn't want to "meet" them in a private place in cyberspace… And those conversations you mention (finding out a parent is a drug user, parental abuse). Those would have to go straight to administration and likely even child services, opening up issues of trust, violation of trust, and adult responsibility with the students. In all the places I taught, and I think it's a national policy or law (? ), if someone even whispers about abuse, you are obligated to bring the conversation to light. And what if I accidentally found evidence (through my feed/ their photos) of something such as drinking/drug use on school grounds? And not to mention the problems with students posting personal information and then assuming I saw it because I'm their FB friend, then, all the sudden, I have information that I don't want and probably would not be disclosed to me about what their girlfriend did or who is pregnant, or even medical issues that are privacy protected by law at school. I really enjoy your comments that remind us to think about the potential gain for students. I'm all fear! All fear! If I were teaching in the US public schools today, I have to say this would be my personal policy. I wouldn't "friend" a student until they graduate. But it is good to reflect on what made me this way… and if there is a way out of the fear. Thanks for your comments Laura, I really appreciate them! You're right, there are a lot of potential negatives and other aspects worth considering. And you're right, if teachers suspect abuse they are required by law to report it (but isn't discovering and reporting this a good thing, even if it was an unintentional discovery via Facebook?). Facebook is definitely a complicated issue for students and teachers and I completely understand teachers' choice to completely stay off of it altogether – my struggle is whether it's right to actually make a law banning teachers from communicating. If they choose that, then that's completely understandable, but the law seems overly restrictive and fear-driven. Always appreciate feedback, thanks!